It is painfully clear that a new wave of anti-Semitism is rising once again in Germany. But in reading of the demonstrations fueled by such virulent hate, I am struck by how my visit to Germany this summer taught me about devotion to humanity in all its diversity. On a rainy day in July I drove from Laupheim to Ichenhausen, a small village in western Bavaria where, in 1878 Carl Laemmle at twelve years old began his apprenticeship to Sam Heller, owner of a stationary business. Laemmle stayed with the Hellers for five years. He could have continued on as an employee and perhaps a partner had he not left for America. I had few expectations for this visit. I arranged a meeting with the town archivist and thought I would see where Laemmle did his apprenticeship and learn about the town. I figured we would walk the streets and maybe look at some old pictures. Ichenhausen. A small village in western Bavaria. I agreed, presuming we would come to an old building, abandoned or repurposed with only faint clues of it once being a place of Jewish worship. But when we turned the corner I saw a refined structure, gleaming white with ornate Hebrew script hand painted above an archway. “Is there still a Jewish community here?” I asked. She smiled, “No, no. But on Kristallnacht they did not burn the synagogue because it was too close to Christian homes.” The Nazis had trashed the inside, breaking the stained glass windows and ripping up the Torah. We entered a large hall with a glass chandelier. Above us gold stars twinkled against a dark blue background. And gilded wreaths accented each corner. “Years ago the townspeople restored the building to what it looked like in the late 19th century,” she explained. It was now used as a community space. “I think you will enjoy this,” she said pointing upstairs. 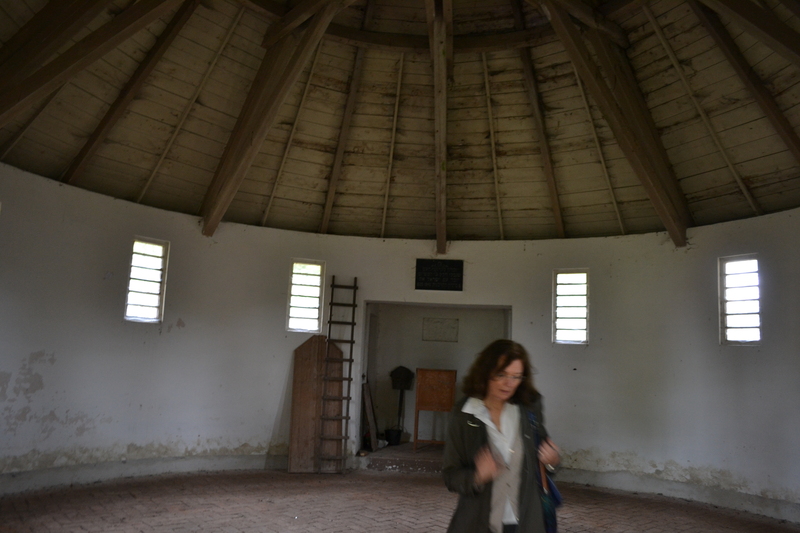 I followed her to a series of rooms converted into a small museum documenting the Jews of Ichenhausen. She explained how the town was 50% Jewish and 50% Christian in the 1860s. While maintaining their own traditions, Jews and Christians participated in civic life together. They mingled in the same recreation clubs and social organizations. Some prominent Jewish men served on the city council. She then pulled out drawers of what appeared to be scrolls of fabrics. They were wimples, the cloths baby boys wore right before circumcision. They were embroidered and used to wrap the Torah. 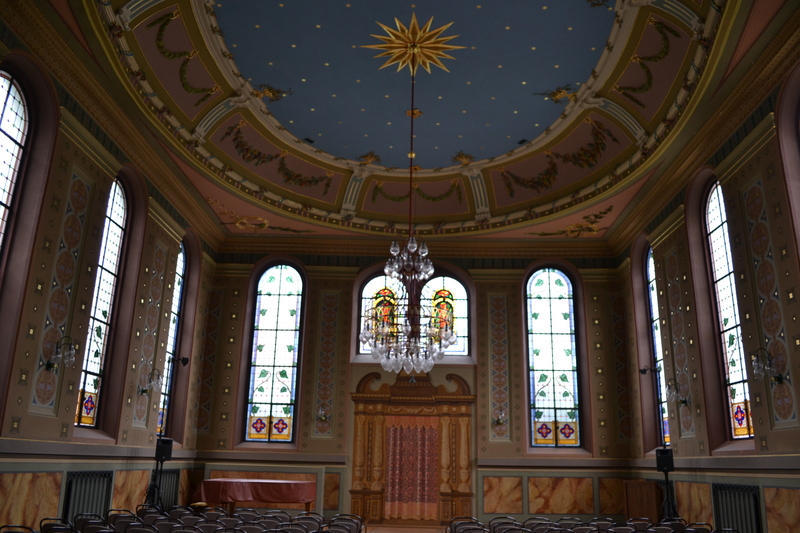 The community had found hundreds of them in the synagogue in a storage area untouched by the Nazis. 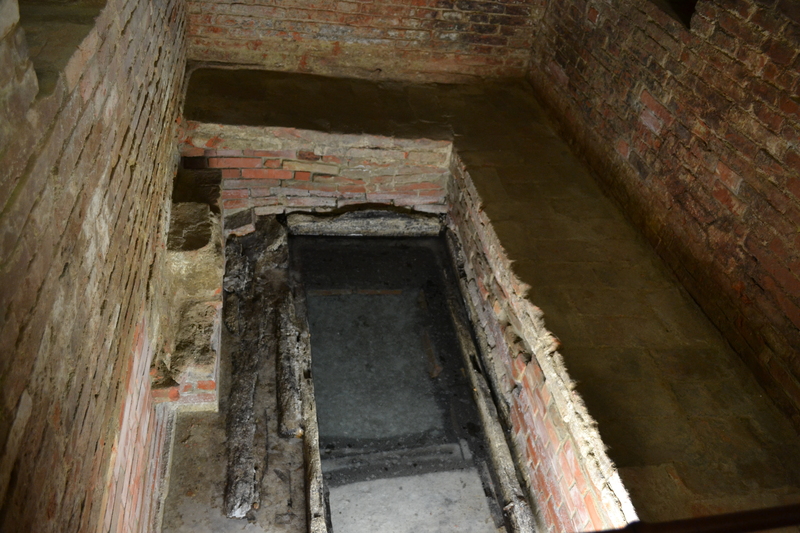 She then showed me to the mikveh, a ritual pool they had uncovered during the restoration. We descended a brick stairwell to a closet size room where a well supplied the small pool with water. They had carefully refurbished the wood that framed the border of the pool. Clearly, the cost of restoring the synagogue must have been immense. Looking over the site she smiled. “When I was a little girl this was a magical place. Of course, at that time there were no Jews left. I would come here to play. It was peaceful and mysterious.” To her, the places she had shown me were more than historical sites. She was emotionally tied to them. She was a steward to a history that could have easily been erased. I sensed from her a longing for what was lost. The synagogue, the exhibit, the cemetery, these were relics of an Ichenhausen that had prospered in a time of tolerance and diversity. 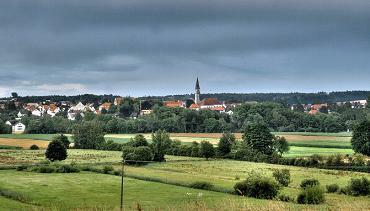 When the Jews were forced out, deported and murdered, a part of Ichenhausen died with them. 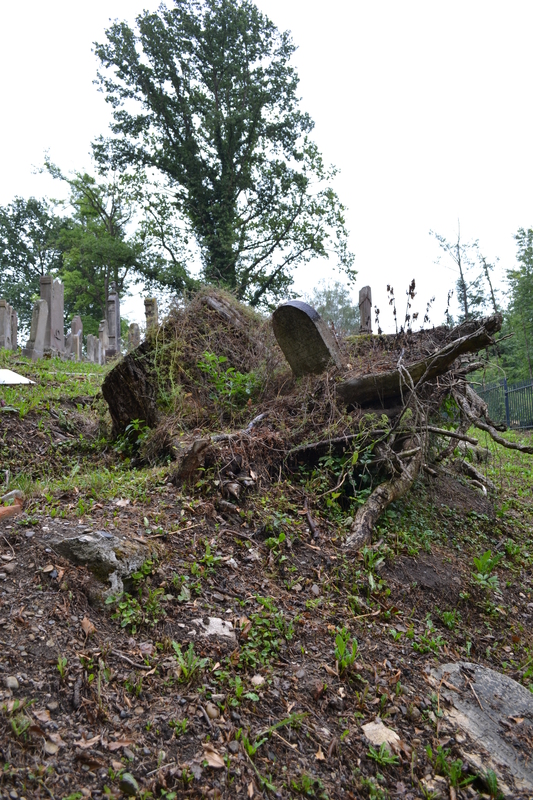 From my perspective the community had taken extraordinary steps to preserve Jewish history. For Dr. Madel-Böhringer these were basic gestures that could preserve, but never regain what was lost. It reminded me that when we succumb to intolerance and hate, we lose a part of ourselves that we can never get back. And whether this happens in a little village or across a vast region, all of humanity is lesser for it. Dr. Madel-Böhringer’s answer to my question still resonates with me. It is not just the duty of Germans, but rather the duty of all humans to remind our communities that we prosper when we embrace our differences. This is one of the great lessons I have learned from studying Carl Laemmle, who was shaped by his time in Ichenhausen. He was Jewish. He was German. He was American. But above religion or nation, he was a vocal humanist at a time when humanity was entering some of its darkest days. After parting ways with Dr. Madel-Böhringer, I headed back to Laupheim. Winding along the country road, passing farms and fields of wheat, it was difficult to imagine how something like the Holocaust could have taken place here. And then without warning the rain started again. It came down in violent gusts, pounding my car like tiny bullets. Slowing to a crawl, I leaned toward the windshield as the rolling hills of the Bavarian countryside seemed to wash away against the glass. 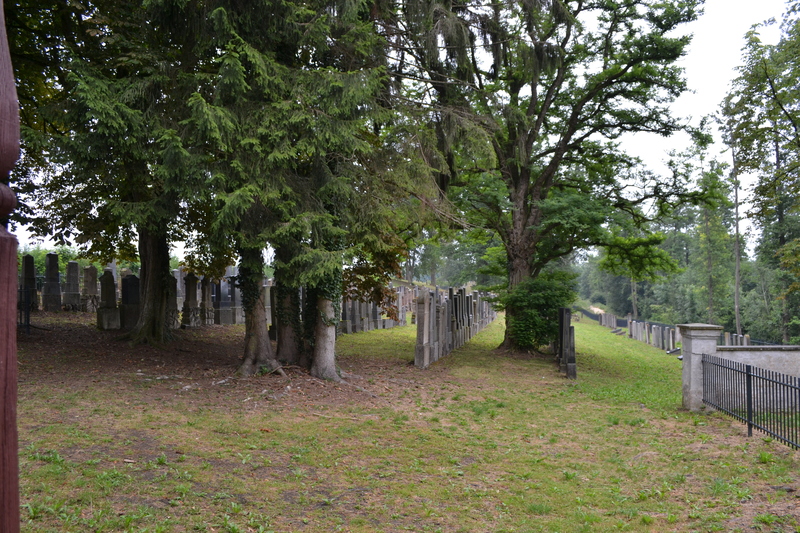 One of the largest Jewish Cemeteries in Bavaria is in Ichenhausen. There is no Jewish community left in the town.